According to ‘Tracking Universal Health Coverage: 2017 Global Monitoring Report’, jointly brought out by the World Health Organisation (WHO) and the World Bank, by 2010, nearly 808 million people across the world had incurred “catastrophic spending on health” i.e. out of pocket expenses exceeding more than 10% of income. 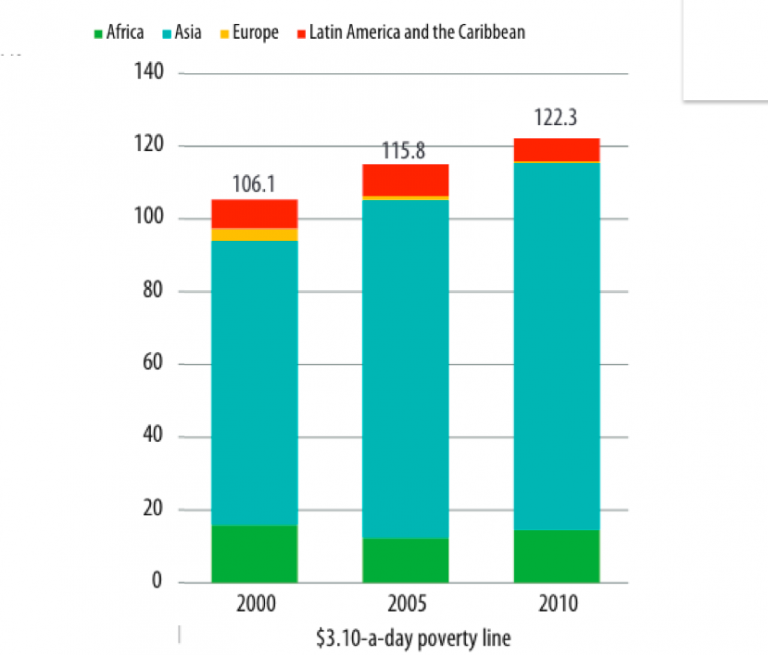 Nearly 122.3 million people were pushed into poverty at $ 3.1 a day purchasing power parity (PPP). Figure below shows that this has only been increasing. “The crisis in health is because of the crisis in the economy” said Professor David Legge, speaking at the Assembly. Global health is in a crisis as the WHO has been hijacked by the donors, compounded by the non-accountability of the member states, he added. WHO’s funding is dependent on donors; 80% of its budget is from donors and 93% of such funding is earmarked for programmes that the donors support. The health crisis in almost every country, including developed ones, is a consequence of economic policy being shaped by transnational corporations. Four decades of neoliberal policies pushed on countries have increased the instability of the global economy. These policies include “free” trade, unfair trade, fiscal “discipline” and development assistance. What are the consequences of these policies on third world countries? A few examples on how this has effected on the health of the people are: the United States supported 39 drug companies that sued South Africa in 1997 for bringing in a law to control prices of medicines. The European Union from time to time seizes generic drugs in transit. In 2008, generic drugs weighing 570 kilograms used in the treatment of high blood pressure were detained in the Netherlands, which were being sent to Brazil. MNCs are suing countries for using generic versions of life saving medicines. Professor Jane Kelsey, addressing the delegates of the Assembly, said that these cases were being taken up in secret international arbitration courts, the outcomes of which were not known to people. The judges trying these courts are in fact private lawyers whose conflicts of interest do not bar them from trying the cases. In 2017, 65 new known claims against 48 countries were being tried in these courts. The amounts the MNCs are claiming range between US$ 15 million and $1.5 Billion. Prof. Kelsey cited a case of the US pharmaceutical corporation giant Eli Lilly suing Canada for US$ 500 million, stating that the latter not granting patent rights to two of its drugs. The claim was for the loss of potential profits. This is a clear example of MNCs seeking damages even without any investment whatsoever. DialAsie, a health care firm from France, sought damages worth US$ 66 million from Vietnam at the Permanent Court of Arbitration (PAC). DailAsie in fact was not paying US$ 23,000 per month for the building it had rented. The owner of the building, Saigon Co-op, went to court and won the case. The Vietnam International Arbitration Centre asked DailAise to pay US$ 571,000 as damages. Pfizer has also filed a case against Ecuador although the amount of damages sought is not know to people. The manner in which treaties and Free Trade Agreements are signed are against the interests of the people. Profits are given primacy over the health and welfare of the people. Even if countries win cases against MNCs, the companies/investors don’t pay the costs one-third of the times. “Most of the time, these agreements between nations and groups of nations is not about trade as we think. 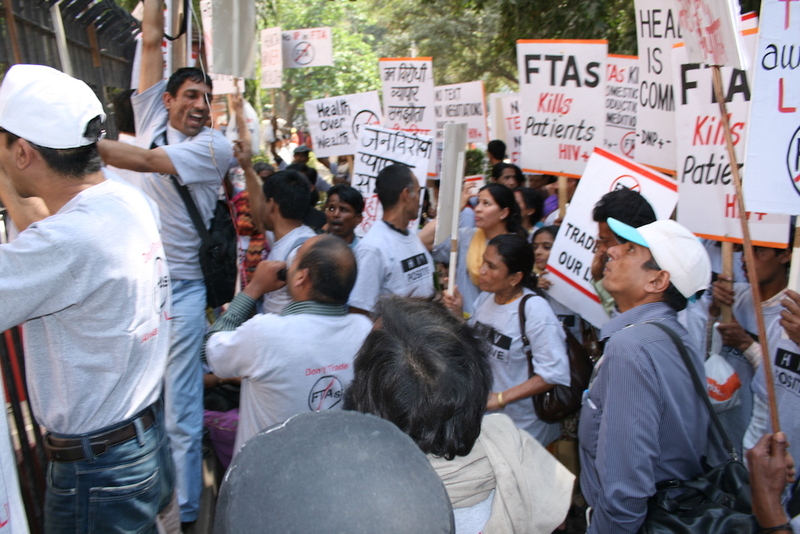 These agreements are negotiated in secret and most of them are about gaining longer monopolies over medicines and biologics for the MNCs,” said Prof. Kelsey.